Kingman AZ is a great place to live with lots of out door activities and small town atmosphere. 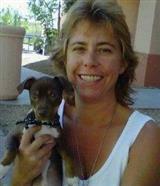 I have been a Realtor since 2006 and have lived in Kingman since 1983. As your Realtor my passion is to protect and promote your interest while giving you unsurpassed customer service. Whether you’re looking to purchase a home or sell your current home I will work hard to help achieve your goals. Honesty, integrity and a passion for Real Estate is what you deserve in your Real Estate endeavors! If you are looking to sell….your home will have listing exposure, tips for preparing to show your home, marketing materials, updates on your neighborhood and communication. If you are looking to purchase a home I have extensive experience to guide you through the home buying process and get you the tools and resources you need to be fully satisfied with your new home! I look forward to helping you! Make it a Great Day! GRI - Graduate Realtor Institute. ABR - Accredited Buyer Representative. Knowledge * Integrity * Experience.